We took a deep dive into the usage metrics of four Influencer (INFLCR) Group of Five conference college football clients during the 2018 college football season: UAB and Charlotte of Conference USA, Troy of the Sun Belt and South Florida of the American Athletic Conference. Using the INFLCR software and mobile app, our clients distributed content to their student-athletes and other brand ambassadors, who then shared their content across their personal social-media channels such as Instagram and Twitter. The clients were then able to track the additional social “lift” the content received via convenient INFLCR dashboards and weekly INFLCR client-success reports. 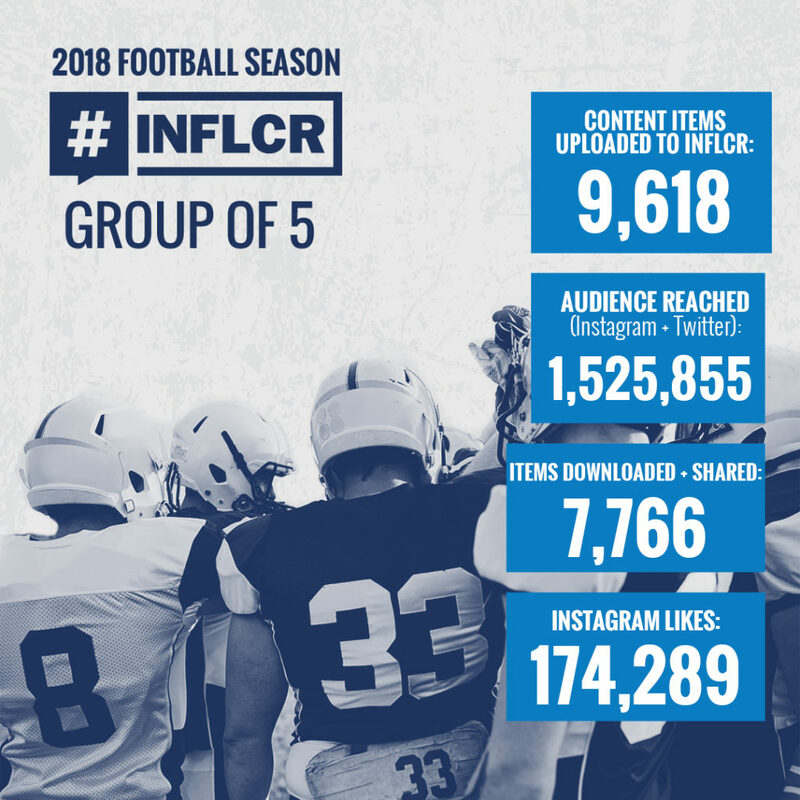 The four clients collectively uploaded almost 10,000 content items to INFLCR during their 2018 college football season, with athletes and other brand ambassadors producing more than 7,700 downloads and shares and reaching a combined audience of more than 1.5 million. Instagram was the most popular social network for the athletes, who received almost than 175,000 “likes” of content they posted via INFLCR during the season. Another key number stood out: the number of athletes visiting the INFLCR app each week to access their personalized content galleries. UAB led the way with 75 players per week, followed by USF with 72, Troy with 68 and Charlotte, which onboarded at midseason, with 57 per week. Three of the Group of Five clients in the study reached bowl games, where the student-athletes took usage of INFLCR to a higher level. 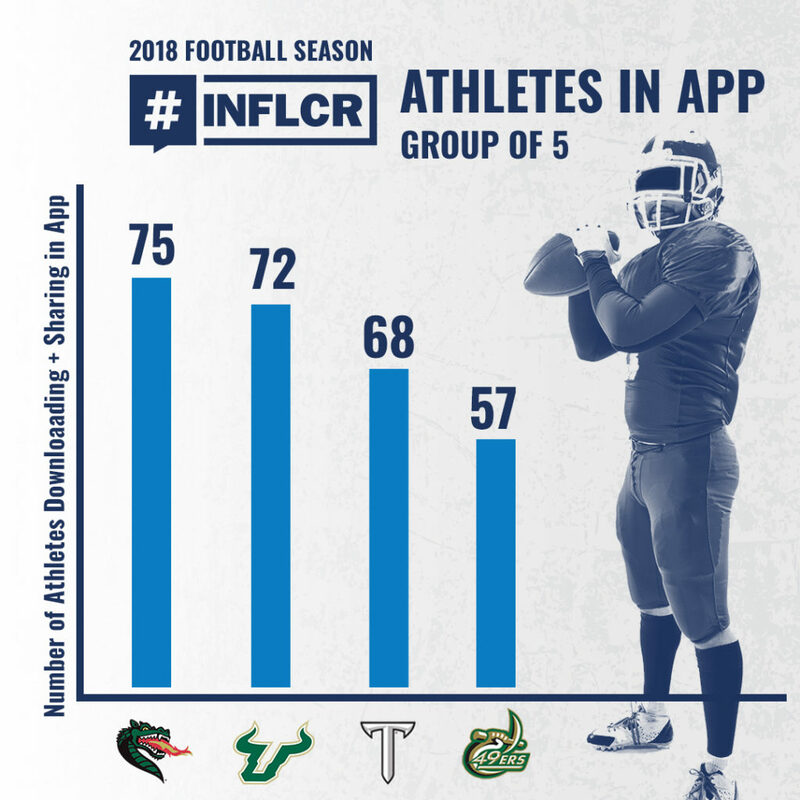 UAB led in total athletes visiting the INFLCR app, with 101 Blazers accessing in the aftermath of the program’s first bowl victory over Northern Illinois in the Boca Raton Bowl. 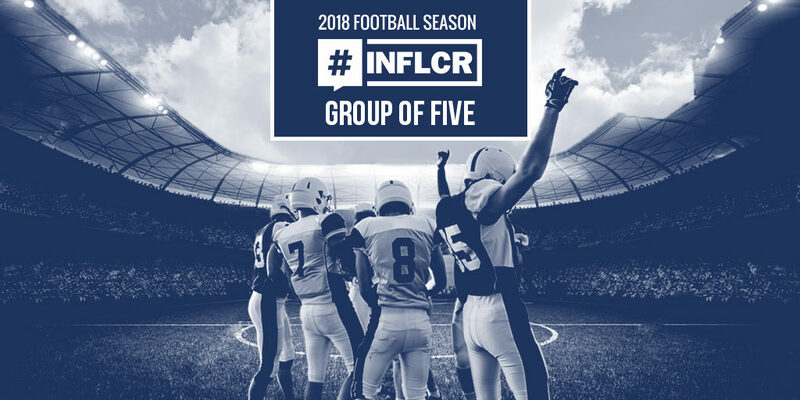 “What the numbers clearly show is that a program doesn’t have to have the massive fan base of a program like Auburn or Miami, two of our Power Five clients, to reach a significantly larger audience by partnering with their student-athletes and other brand ambassadors,” INFLCR founder and CEO Jim Cavale said. “What we consistently see is that athletes at all levels of our client base love having access to their personalized content galleries at their fingertips to tell their story on social media,” Cavale said. “They want this content. The university is investing in creating this content. 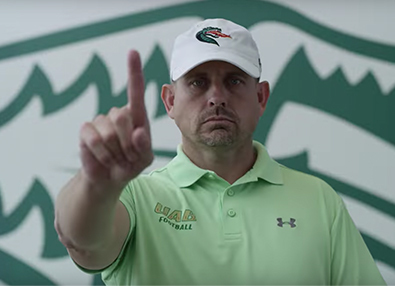 — For the season, UAB players averaged a Instagram+Twitter audience that would be more on par with a typical Power 5 program (30k) to tell the story of their season. 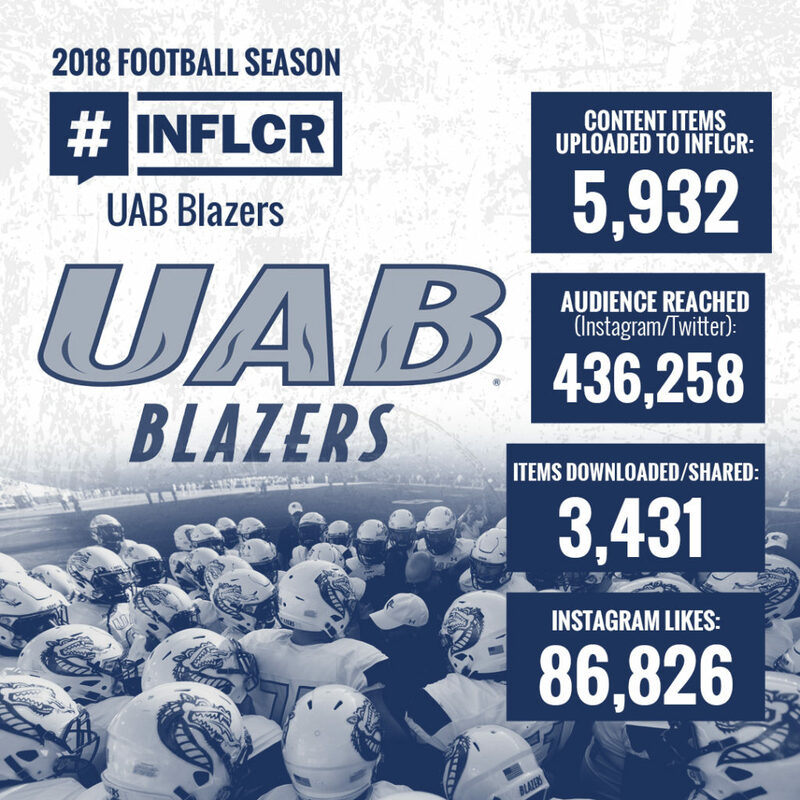 — During the week of the Boca Raton Bowl, UAB student-athletes hit a season high Instagram audience, more than 3 times the weekly season average reach. — UAB players and other brand ambassadors posted 730 content items from six events during bowl week, including the players fishing off a pier, receiving their gift bags, practices, walk-through and the game. Fans loved seeing the action around the bowl trip as much as the game itself. — During bowl week, UAB had a season-high 101 student-athletes active in the INFLCR mobile app. — USF’s seven-game winning streak to start the season featured 1,432 pieces of content that were widely shared by the athletes. USF averaged 97 athlete downloads of content per game. 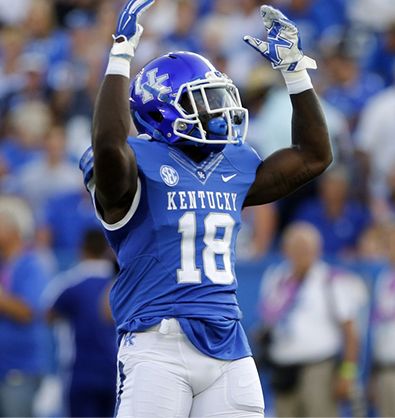 — Even though they lost their bowl game, players set a season-high for number of athletes in the app during the week. — The key to this strategy was that USF’s content team uploaded photos and video to INFLCR from the events surrounding the game, not just the game itself. — Players particularly loved to access and share content from the Beach Invasion event, downloading photos from their beach trip while wearing their Adidas Here to Create campaign shirts. 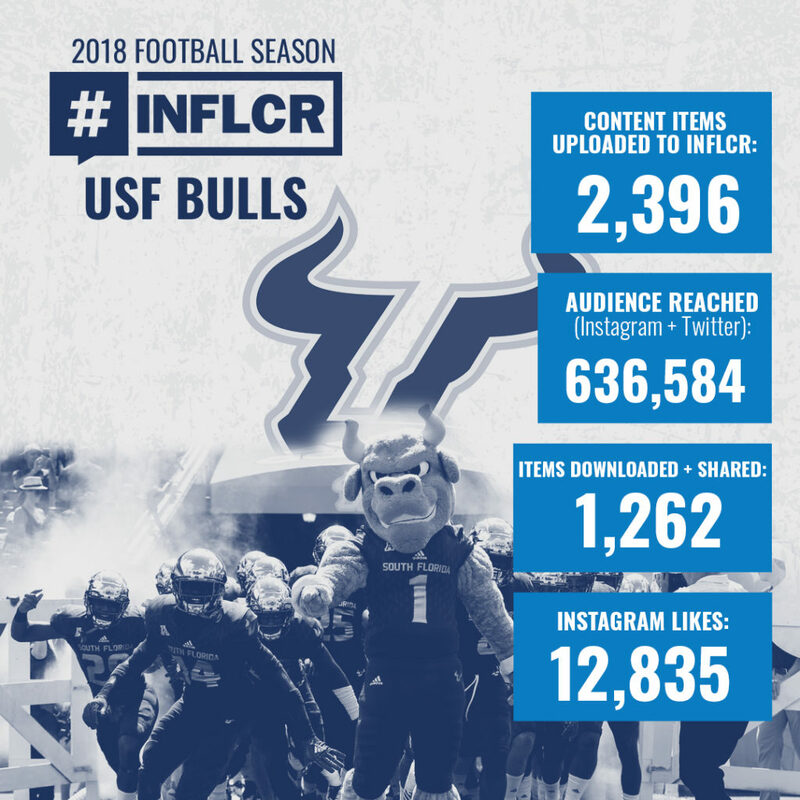 — Bowl week gave USF its highest Instagram audience of the season at more than 94,000 additional viewers beyond those following the USF main brand accounts. USF student-athletes also set season-highs for Instagram likes and team downloads. — The season got off to a hot start when they used INFLCR to tell the story of their new locker room facility unveiling with the players. 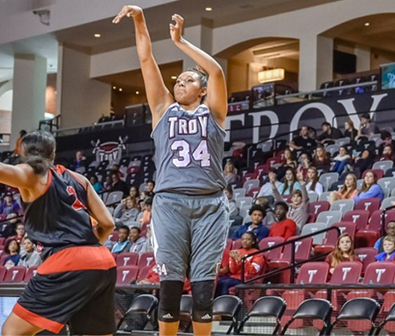 — At the Dollar General Bowl, Troy had content from more different events than any other INFLCR client: final practice in Troy, games gifts and haircuts at their DG Bowl Welcome Reception, trip to USS Alabama, parade, bowling alley, practices in Mobile, travel, mayors luncheon, and the actual game. 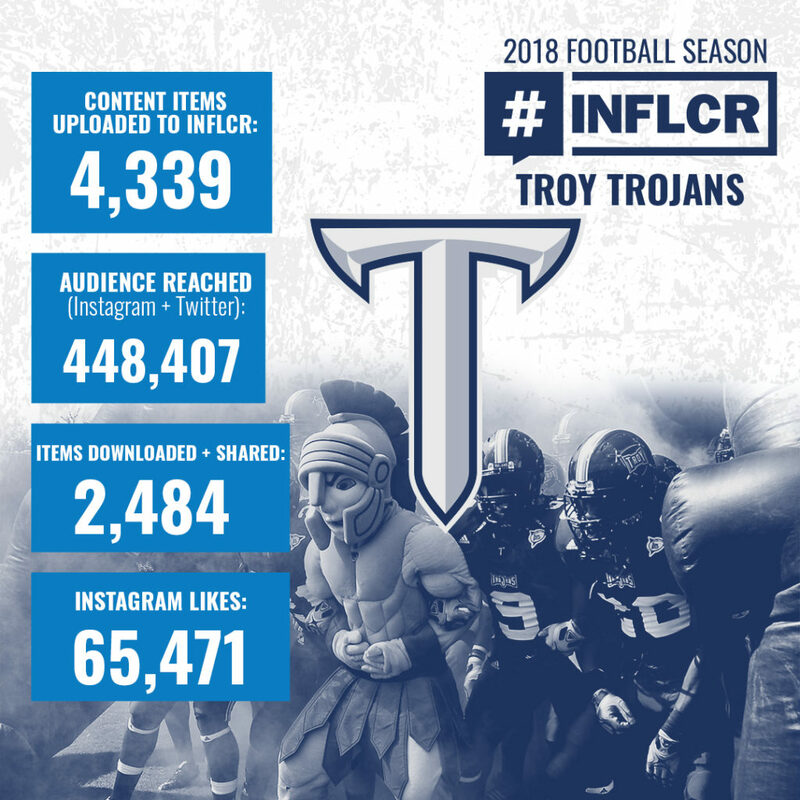 — The bowl trip saw Troy upload more than 1,200 content items to achieve a season-high 465 downloads by student-athletes to set a season high for Instagram audience and likes. — Charlotte onboarded to INFLCR for its final four games of the season but was the Group of Five client leader for average number of downloads by athletes per week despite no formal onboarding process announced by the university’s media department. This shows how effective the INFLCR onboarding process can be for clients. 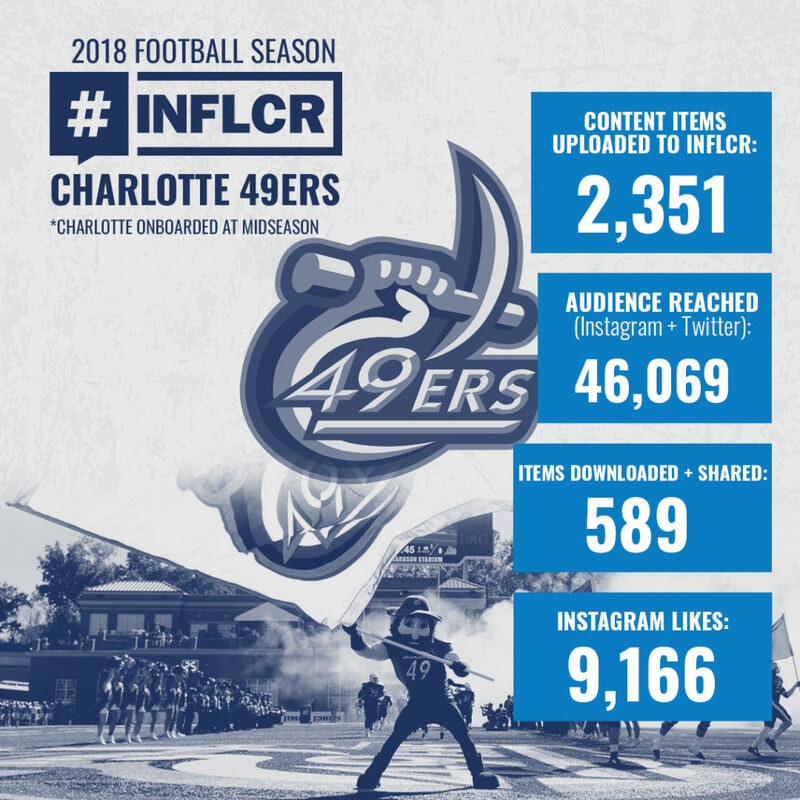 — Charlotte student-athletes downloaded 158 content items from their season-ending game against Florida Atlantic. — Charlotte used INFLCR to welcome new coach, Will Healy, providing athletes with content from his introductory press conference and shaking hands with the players.